Cate Blanchett in Gucci all’Up Next Gala. Karlie Kloss in Brandon Maxwell al Project Runway New York premiere. Miley Cyrus in Tom Ford al The Women’s Cancer Research Fund gala. 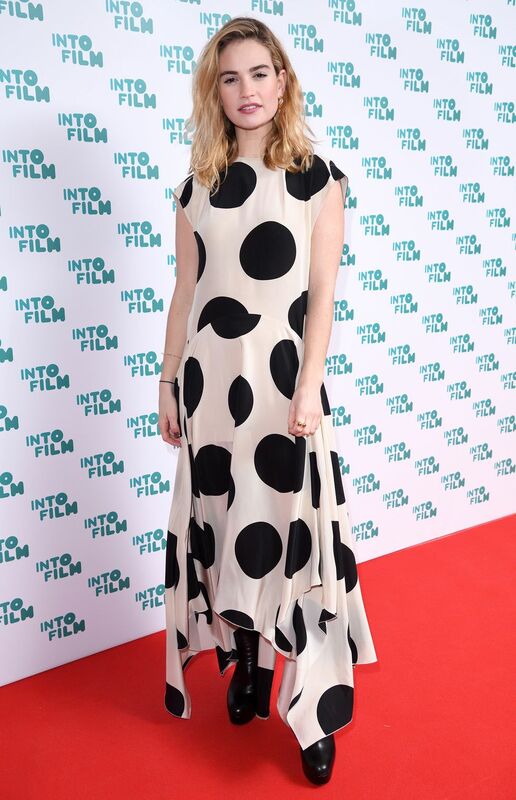 Lily James in Petar Petrov agli Into Film Awards, London.